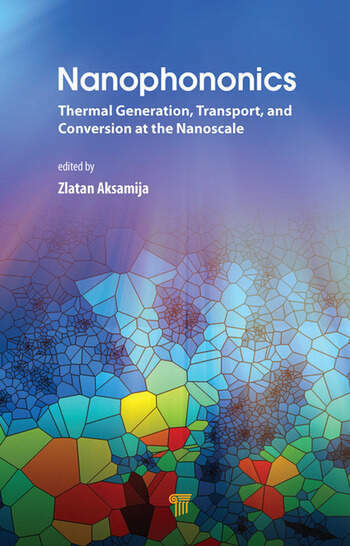 The book offers a unique perspective bridging the fields of nanoscale heat transfer and nanoelectronics. It covers both fundamentals and applications from the perspectives of theory/simulation, experimental measurements, and device applications. 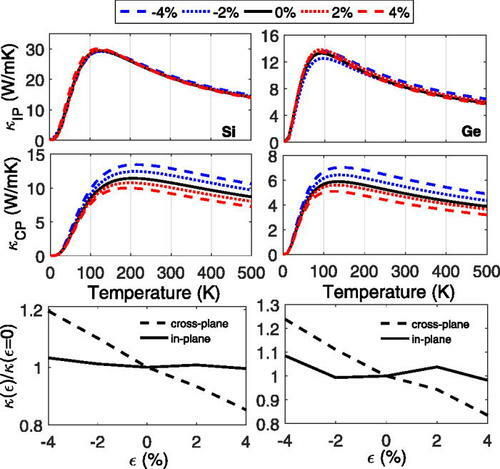 Heat in most semiconductor materials, including the traditional group IV elements (Si, Ge, diamond), III–V compounds (GaAs, wide-bandgap GaN), and carbon allotropes (graphene, CNTs), as well as emerging new materials like transition metal dichalcogenides (TMDCs), is stored and transported by lattice vibrations (phonons). 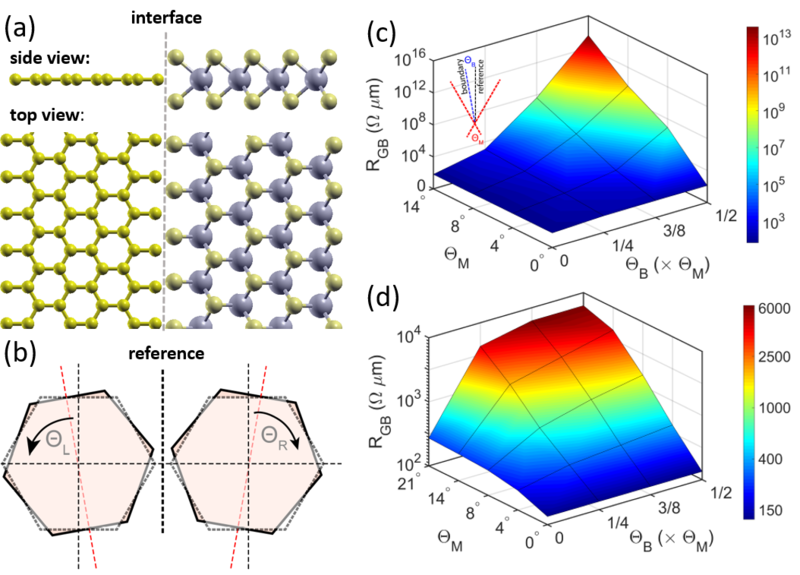 Phonon generation through interactions with electrons (in nanoelectronics, power, and nonequilibrium devices) and light (optoelectronics) is the central mechanism of heat dissipation in nanoelectronics. This book focuses on the area of thermal effects in nanostructures, including the generation, transport, and conversion of heat at the nanoscale level. Phonon transport, including thermal conductivity in nanostructured materials, as well as numerical simulation methods, such as phonon Monte Carlo, Green’s functions, and first principles methods, feature prominently in the book, which comprises four main themes: (i) phonon generation/heat dissipation, (i) nanoscale phonon transport, (iii) applications/devices (including thermoelectrics), and (iv) emerging materials (graphene/2D). The book also covers recent advances in nanophononics—the study of phonons at the nanoscale. 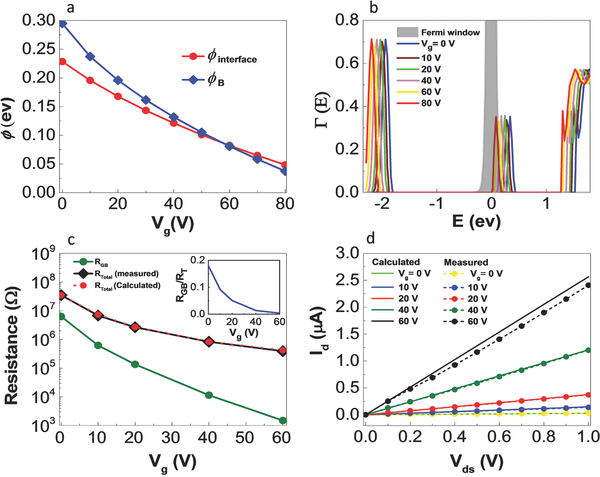 Applications of nanophononics focus on thermoelectric (TE) and tandem TE/photovoltaic energy conversion. The applications are augmented by a chapter on heat dissipation and self-heating in nanoelectronic devices. 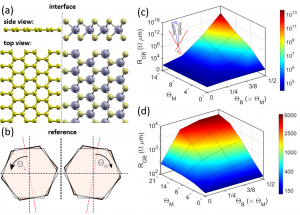 The book concludes with a chapter on thermal transport in nanoscale graphene ribbons, covering recent advances in phonon transport in 2D materials. 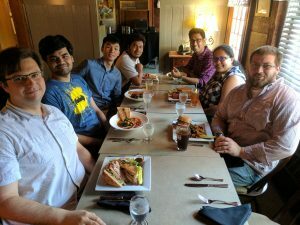 The book will be an excellent reference for researchers and graduate students of nanoelectronics, device engineering, nanoscale heat transfer, and thermoelectric energy conversion. The book could also be a basis for a graduate special topics course in the field of nanoscale heat and energy. 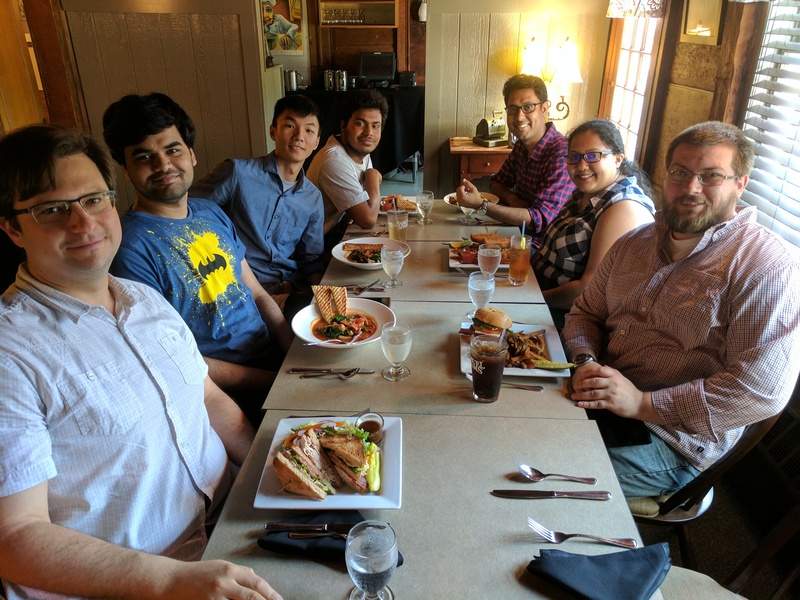 As part of the UMass Summer ENGineering Institute (SENGI) for high school students, NETlab-ers Meenakshi, Arnab, and Prof. Aksamija taught a workshop on the principles of thermoelectric energy conversion. We all had loads of fun! 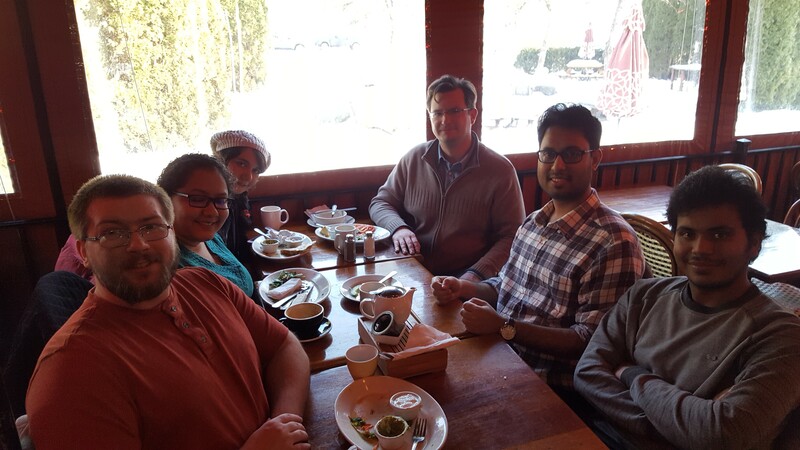 Our recent collaborative work with the Salehi-Khojin and Hersam groups at U. Illinois Chicago and Northwester, respectively, has been published in the Wiley journal “Small”. 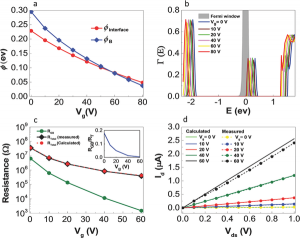 The article, titled “Direct Growth of High Mobility and Low-Noise Lateral MoS2–Graphene Heterostructure Electronics”, details our progress on the electronic properties of graphene/MoS2 heterojuctions for nanoelectronic device applications. Congratulations to NETlab member and doctoral student Arnab Majee on his nomination for “Best Poster” award at the 2017 MRS Spring Meeting in Phoenix. Arnab presented his poster on ” Dynamical Thermal Conductivity in Single-Crystalline Graphene Ribbons” in the Nanoscale Heat Transfer session at MRS.
Interface thermal conductance between a monolayer and amorphous SiO2 substrate for graphene as a function of temperature T (a) and with relation to the spring coupling constant K_a dependence at T=300 K (b). 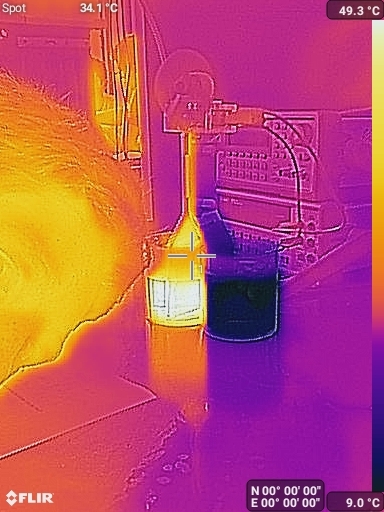 Similarly for MoS_2 as a function of temperature T (c) and as a function of coupling constant K_a at room temperature (d). As dimensions of nanoelectronic devices become smaller, CPU hot spots become increasingly more difficult to manage. 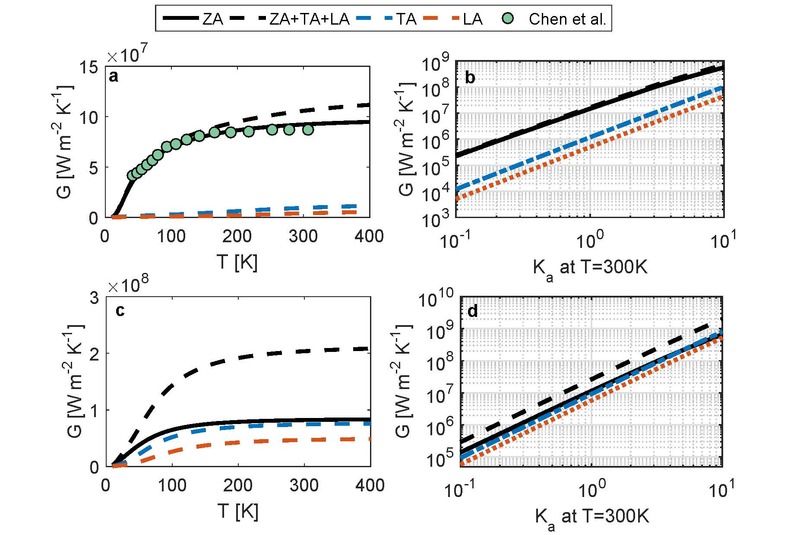 Applying mechanical strain in nanostructures provides an additional tuning mechanism for both electronic band structures and phonon dispersions that is independent of other methods such as alloying and dimensional confinement. 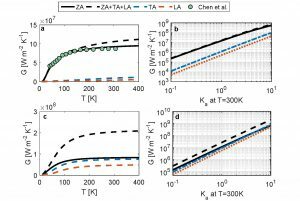 By breaking crystal symmetry, strain increases anisotropy.